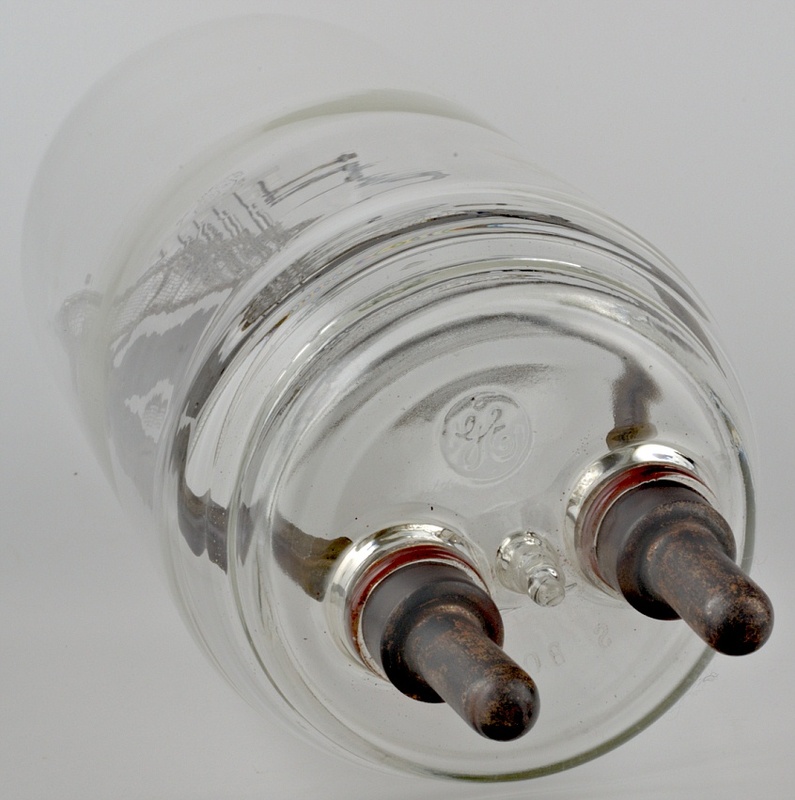 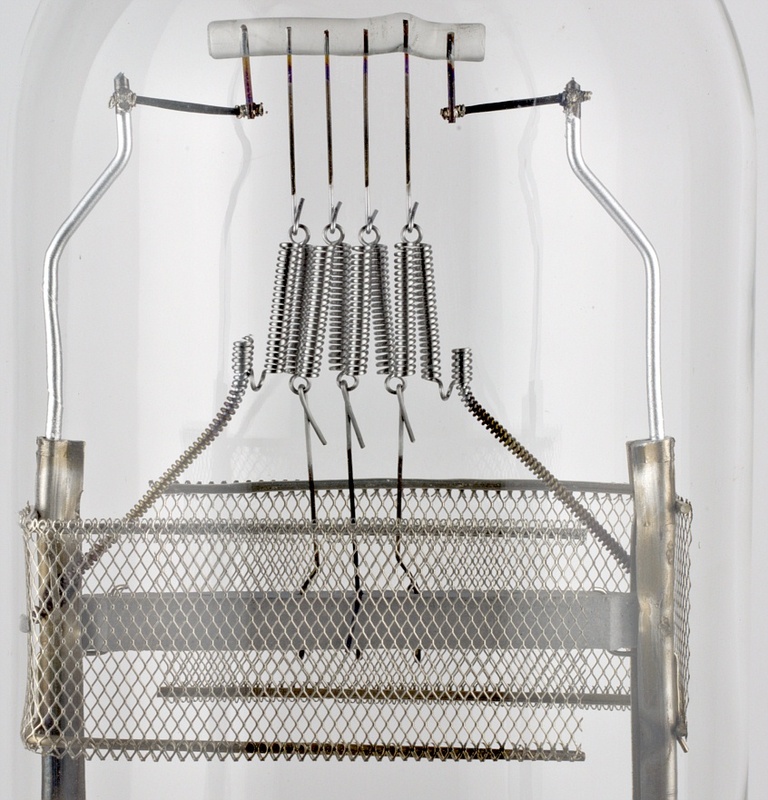 Evaporation of tungsten produces blackening of the bulb, which gradually reduces the light from the lamp during its life. 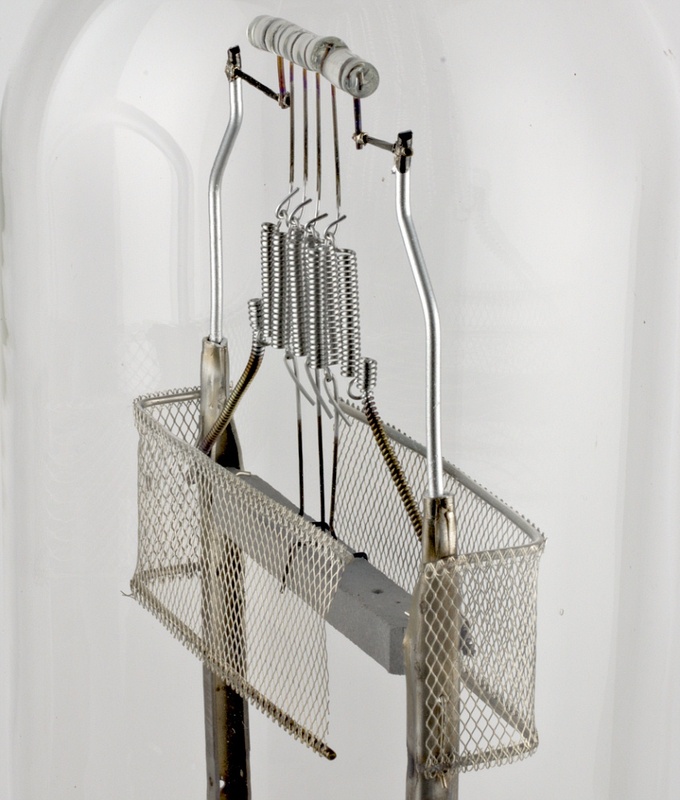 To overcome this problem, metal gauze screens are mounted above the filament and act as collectors of the tungsten vapor, on which it condenses instead of on the bulb. 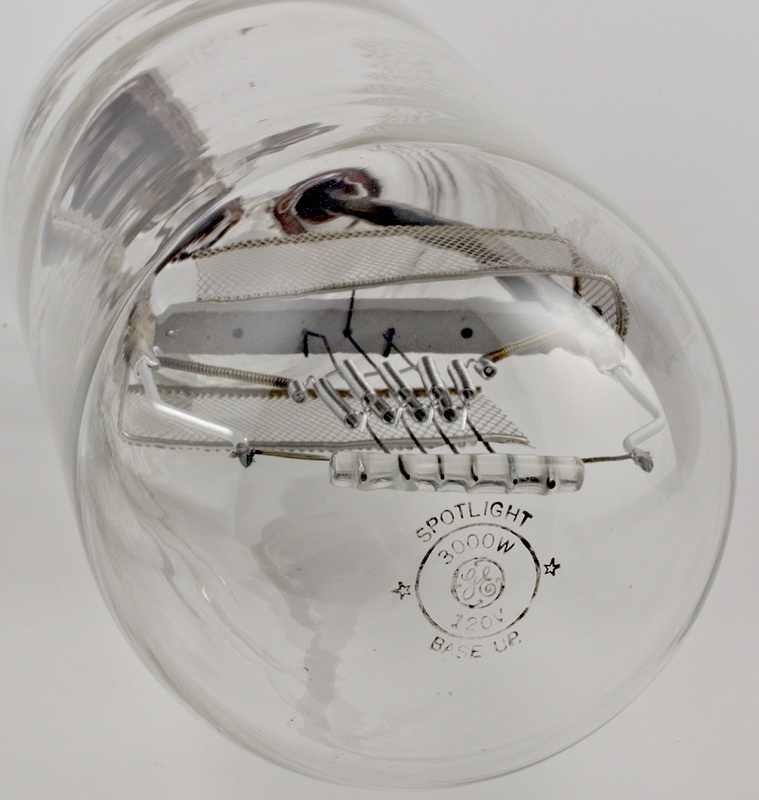 Therefore, this particular bulb must burn base up.